Muffin Tin Monday – No theme, just "leftovers"
No theme- just leftovers in the fridge…. 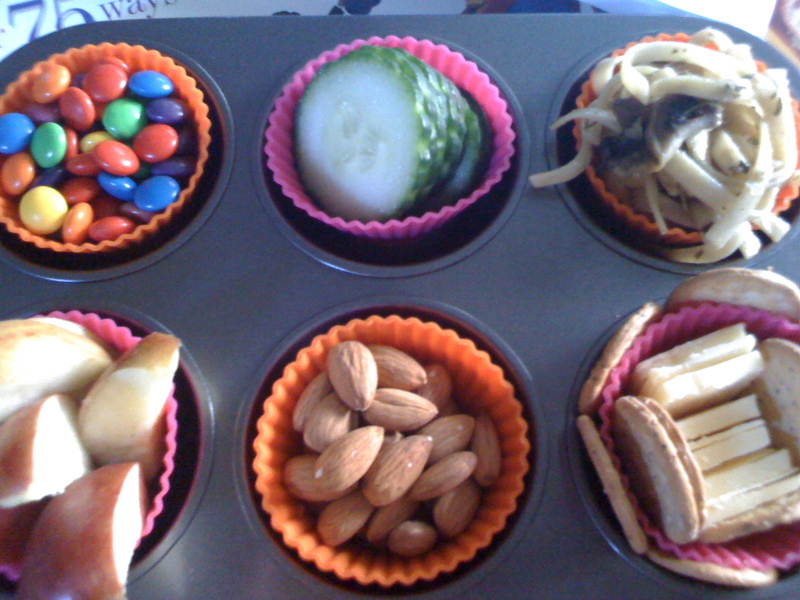 Here we have some pebbles, cucumber slices, fettucine, apple slices, almonds and cheese and crackers. Simple and nom. October 18, 2010 in leftovers, muffin tin monday. ← It’s a Cat and Mouse game…. You have wonderful things in your fridge. I agree Nom. Wow, your leftovers made a wonderful tin! Leftovers always look so much more appealing in a muffin tin!